To establish rules and responsibilities for safely operating unlicensed motorized vehicles on the Urbana-Champaign campus. This policy applies to all campus units, University staff, faculty, and students who use unlicensed motorized vehicles on the Urbana-Champaign campus. The policy also applies to all contractors, subcontractors, volunteers, visitors, and members of the public who use such vehicles on the Urbana-Champaign campus. Executive Director of Facilities & Services and the Director of Public Safety. All campus units that use unlicensed motorized vehicles must obtain an identification number for such vehicles prior to operating the vehicle on the Urbana-Champaign campus. All drivers of unlicensed motorized vehicles must register as set forth in the procedures accompanying this policy prior to operating such vehicles on the Urbana-Champaign campus. Public safety officials (i.e., police, fire, and emergency medical services personnel) who operate unlicensed motorized vehicles on the Urbana-Champaign campus are exempt from this policy. Drivers of unlicensed motorized vehicles used exclusively on University farms are exempt from this policy, except that the driver must obtain identification plates for such vehicles as set forth in the procedures accompanying this policy. Motor-powered conveyances, including but not limited to golf carts, recreational trail vehicles (i.e., Gators, Kubotas), and club cars, that are not licensed for operation on roadways. Any public way on the Urbana-Champaign campus, including a bicycle path, sidewalk, or shared-use path for the use of pedestrians, bicyclists and other non-motorized transportation, but not including a roadway. Drivers of unlicensed motorized vehicles must meet the basic requirements for operating a motorized vehicle established by the State of Illinois, including but not limited to adequate vision and a thorough knowledge of Illinois traffic laws. Drivers of unlicensed motorized vehicles must possess a valid driver’s license issued by a state within the United States or by the government of any of U.S. territory. Campus units using unlicensed motorized vehicles must review, record and maintain license information on all drivers of such vehicles in accordance with OBFS policy; see https://www.obfs.uillinois.edu/bfpp/section-15-travel/comply-unit-responsibilities-vehicle-use. Campus units may prohibit persons found to be in violation of these procedures from driving the unit’s unlicensed motorized vehicles. Before any driver may operate an unlicensed motorized vehicle on campus, s/he must read and sign the Campus Unlicensed Motorized Vehicle Driver’s Brief. The Unit Executive Officer will be responsible for retaining this documentation. The Facilities & Services Garage will assign each unlicensed motorized vehicle purchased by the University a unique identification number. Facilities & Services will issue an identification plate for each vehicle, indicating the campus unit that owns the vehicle, along with the vehicle’s unique identification number. The identification plate must remain affixed to each vehicle and must be visible at all times. Prior to operating any rented unlicensed motorized vehicle on the Urbana-Champaign campus, a campus unit must obtain temporary identification plates for such vehicle identifying the name of the sponsoring unit and a number identifying the vehicle. 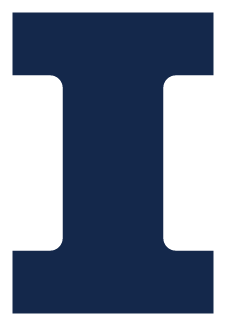 The campus unit must affix these temporary identification plates to the rented vehicles before operating the vehicle on the Urbana-Champaign campus. Campus units are responsible for keeping track of all vehicle identification numbers for the campus unit’s rented and University-owned vehicles. Drivers may operate unlicensed motorized vehicles on pathways when necessary to travel between work areas. Pursuant to Illinois law, drivers shall not operate unlicensed motorized vehicles on streets, except to safely cross streets at designated crosswalks. When crossing streets, drivers must observe crossing signals. Drivers of vehicles on pathways must always yield to pedestrians. When driving on pathways, drivers of unlicensed motorized vehicles may not exceed 10 mph. Drivers of unlicensed motorized vehicles may only carry as many passengers as can be safely accommodated by the vehicle design, as stated in the manufacturer’s documentation. Drivers must adhere to all Parking Department Rules and Regulations or be subject to citations, fines, fees, vehicle immobilization and/or towing. Except as stated in the policy, there are no exceptions. For questions regarding the policy, contact Public Safety (police@illinois.edu), (217) 333-1216, or Facilities & Services Occupational Safety and Health (oshs@illinois.edu), (217) 265-9828. For questions regarding vehicle operating procedures, identification, and registration, contact Facilities & Services Garage and Car Pool, (217) 333-3910.